Home Blog Log Lines Beat to Quarters! So many of the details of life in the early US Navy remain elusive. As we dig ever deeper into long-neglected archival sources, we begin to gain a better understanding of the minutiae of life at sea in the period. And yet some details of that world were so commonplace to the men who lived them every day that no one bothered to record them for posterity. We recently received an inquiry wondering about the tune used to call the crew to their “quarters” or battle stations. Most early nineteenth century accounts of battle simply mentioned that a ship “beat to quarters.” This, of course, implies that a drum was used- other instruments don’t “beat,” after all. A modern artist’s reconstruction of a new contingent of Marines drilling on board ship. They haven’t yet developed their sea legs! Note the drummer on the right. Marine musicians wore uniforms the reverse of the privates- red with blue cuffs and collars. USS Constitution Museum, © copyright 2010 Stephen Biesty. Nearly every period source agrees: a drummer beat his drum to call the men to quarters. But what did this sound like? Everything in the Navy operated under some sort of system, so surely the drummer didn’t play his drum as he pleased. In the British Royal Navy, the tune played by the drummer when beating to quarters was “Heart of Oak,” the famous song written by William Boyce and David Garrick in 1759. Generally, the American Navy slavishly copied British protocol, but in this instance, that does not seem to be true. 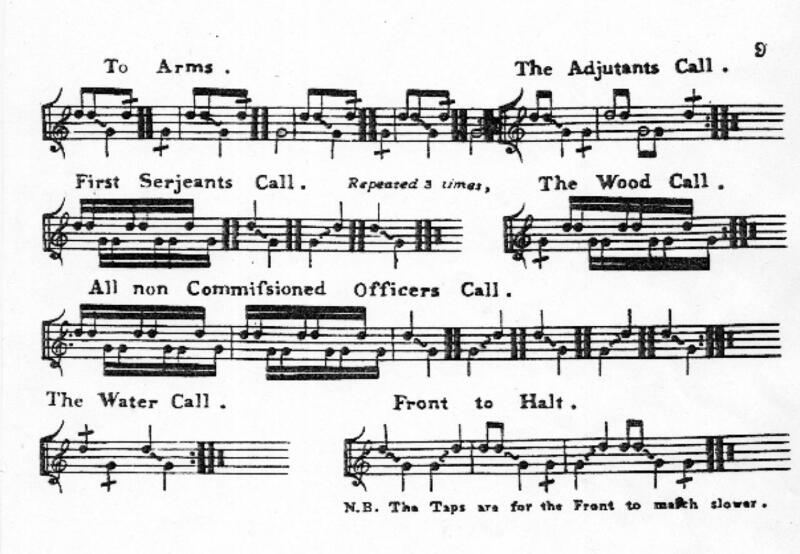 Why, after all, would the US Navy use a tune that celebrated mid-eighteenth century British naval victories? Luckily, the answer comes in the form of a book by US Marine Drum Major Charles Stewart Ashworth. We don’t know much about Ashworth’s life, but he was evidently a skilled musician and instructor. In January1812 he published a book called A New, Useful, and Complete System of Drum Beating… intended particularly for the United States Army and Navy. Since the musicians on board ship were in fact Marines, it stands to reason that the call he notated in his book was the one in current use. Music historian James Krause has recorded what this would have sounded like when accompanied by a fife- and all the American frigates carried a Marine drummer and fifer. Navy Department, Proceedings of the General Court Martial Convened for the Trial of Commodore James Barron (James Gideon, 1822), 70. Navy Department, Instructions in Relation to the Preparation of Vessels of War for Battle (Washington: C. Alexander, 1852), 32.